I love doing my own nail art, and owing to my extremely active lifestyle (in addition to the fact that I often wear gloves) I usually stick to 2D nail art. The nails for this week was inspired by a folder that I own. 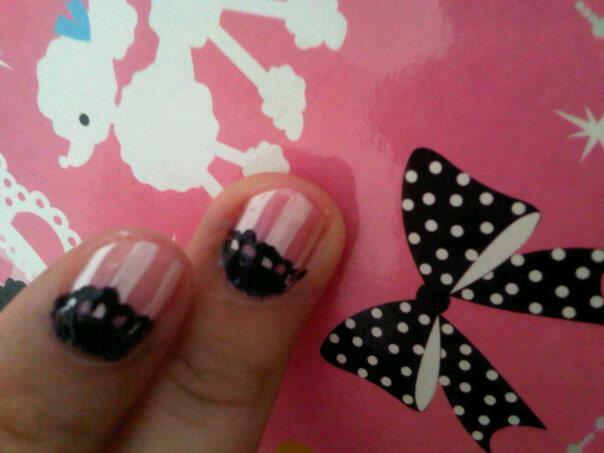 The theme was a blend of white, pink and black with lots of girly prints. 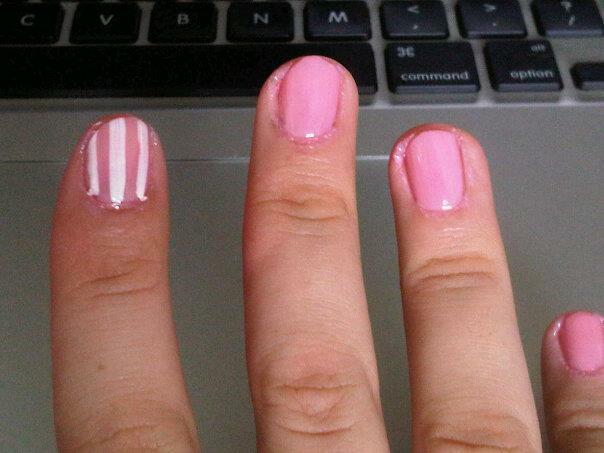 I decided to recreate the look on my nails! 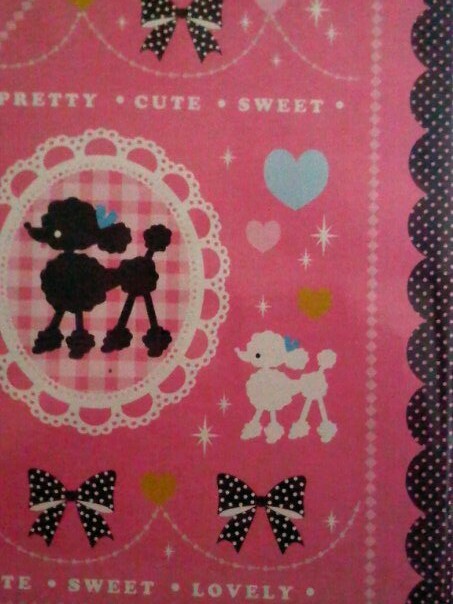 I wish I am skilled enough to paint little poodle motifs, but for now let's just stick to patterns! The design took about 40 minutes to complete. The base coat and pink base layer was fast. I used two coats of pink OPI polish to get the pink. 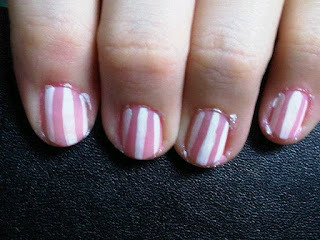 Using Orly's French White polish, I painted on the white stripes. The black part was the messiest. I painted the half moon area with Revlon's Black Lingerie. However, since I didn't use any template, the polish bled out of the nails. 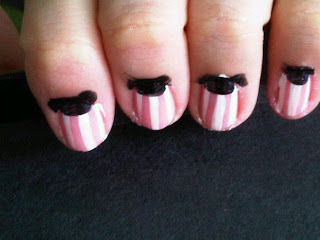 It took a bit of effort to get a pretty half moon shape, but practise makes perfect! I topped the design off with black lace painted on. 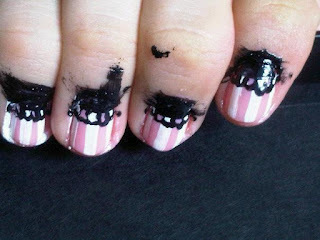 I used a nail art brush and the same black polish to do little joining loops on the edge of the black half moons. It was tougher to paint these little details as the brush tip dried very fast. I had to keep wiping the brush clean and redip it into clean polish. I used OPI's top coat to seal the design in. I'm quite pleased with the look and got many compliments for the nails. It does take practise to make sure that the DIY nails look the same on both hands. I love how the nails match the poodle motif! With the pink and white stripes, any chips don't look jarring or obvious so it's definitely one of my favorite nail art design for now. Simple, pretty and easy to maintain! What does 'brave' mean to you? Arm Candy- all DIY-ed and ready to go!